Join us on December 9th at Cerimon House for a conversation about the livability of Portland Neighborhoods now, and in the future. While you’re here, view the wonderful art exhibit of historic Portland paintings by Betty Chilstrom, whose work inspired this conversation. Join us for an art exhibit and Book Launch featuring the paintings of 20th-century Portland artist, Betty Chilstrom. 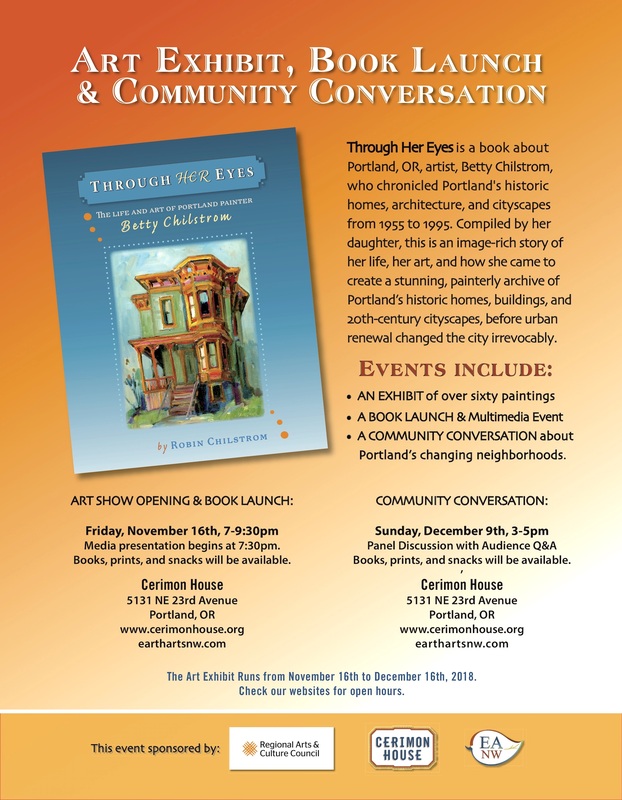 Compiled by her daughter, Robin, “Through Her Eyes,” tells the story of Betty’s life and work as an everyday historian who captured Portland’s historic architecture before it disappeared in the wake of major urban renewal projects in the last half of the 20th century. MARCH & APRIL, 2018: A New Voiceweaving Series. Co-sponsored by Cerimon House and Earth Arts NW, these are seasonal workshops for us to creatively honor life on earth. At the spring Gathering of Cascadians we shared in the telling of the history of our region, a Story of Place. Around the circle, storytellers wove this tale. It all began long ago when molten lava from volcanoes in Idaho covered the region, later cooling to become Basalt rock thousands of feet thick. You’re invited to an interactive celebration of this place we call home – Cascadia. Join us for an evening of Storytelling, song-making and idea sharing. 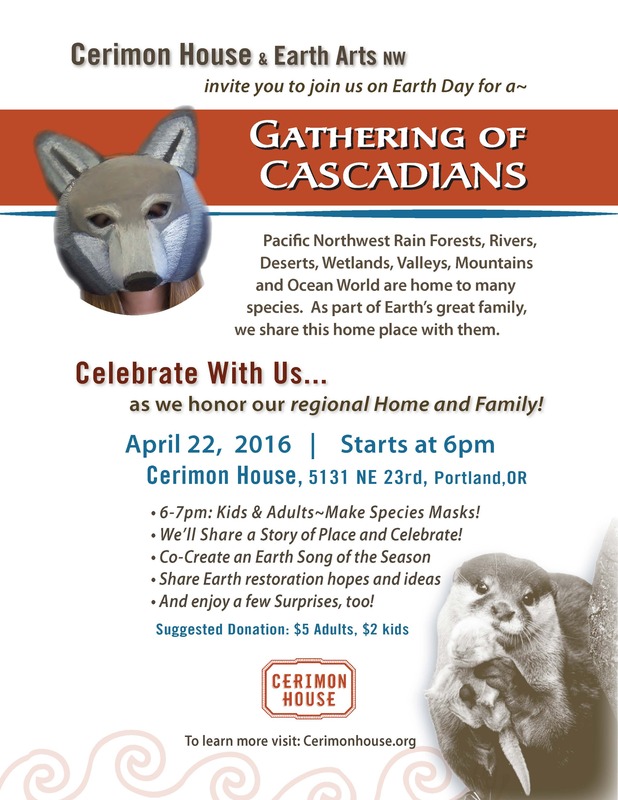 Earth Arts NW awakens again this Spring with a wonderful new partner organization – Cerimon House. We’re honoring the renewal of earth, community and inviting new friends and old to join us as we Celebrate with a Gathering of Cascadians! Join Us!